The nebulous collective of players formerly known as the National Basketball Players Association has taken to the courts. Not those courts, silly! Law courts! The players, now disclaimed as a union, are suing NBA owners for antitrust violations. For reasons that probably make sense to someone who knows about the law, multiple suits are expected, with two already filed. One with four player–plaintiffs will take place in Minnesota courts, while the other, slightly larger suit in California names five plaintiffs, including Carmelo Anthony and Chauncey Billups of the Knicks. The strategy is apparently to rope in players from each mini-socioeconomic class of the player population, with Anthony and Billups representing the uppermost financial echelon (albeit at different points in their careers). So, presuming that plaintiffs actually have to show up to their court cases, a couple of Knicks will be quite busy for this next chapter of the lockout. Meanwhile, the antitrust business isn't the only litigation in which the Knicks are involved. 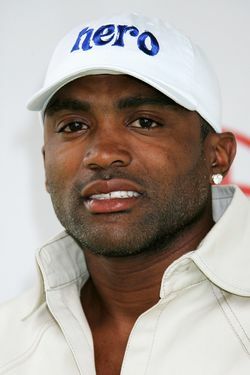 Remember Cuttino Mobley? That smooth, sweet-shooting swingman who was best friends with Steve Francis and always had one eyebrow raised? Yeah? Remember when he was traded to the Knicks? You might not. Mobley was on the return end of Donnie Walsh's famed deluge of pricey Knicks in November of 2008. In a single cap-clearing day, Walsh dealt Zach Randolph and Jamal Crawford (and their cumbersome contracts) for peanuts and the cap space that would eventually make room for Amar'e Stoudemire and friends. Mobley, along with Al Harrington and Tim Thomas, was one of those peanuts. While those other two went on to plenty of hideous games for a miserable, lottery-bound Knicks outfit, Mobley never got to suit up in orange and blue. Instead, the Knicks ruled Mobley ineligible to play on account of an MRI revealing hypertrophic cardiomyopathy, the same condition believed to be responsible for the premature deaths of Hank Gathers, Reggie Lewis, and Jason Collier, among others. Deemed unfit to play, Mobley hung around the organization until the league determined that the Knicks could waive him for salary-cap relief, at which point he retired. Now, several years later, Mobley is suing the Knicks for cutting his career short. Yeah. He now claims that his heart condition isn't serious enough to have precluded his suiting up, and that the Knicks forced him to retire solely in order to save money. This sounds somewhat implausible, particularly to Knicks fans who remember how badly the 2008–2009 squad could have used his defense and shooting at the suddenly thin shooting guard spot (literally anything would have been better than Quentin Richardson and Larry Hughes). Anything is possible, but it certainly doesn't sound like Mobley, who praised the Knicks for their decision at the time, has much of a case. In all likelihood, this will get settled out of court and we won't hear about it ever again. Either way, the timing of the thing is curious. I like it a lot better when these guys are all playing sports instead of suing each other, but maybe that's just me.